From the quality of material used, to the safety during construction, to the final paint color we take pride in our carports. We use the best quality material. 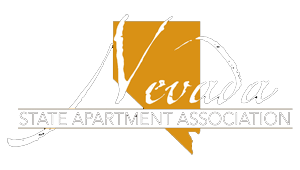 All of our contractors are certified in every area they work. We make sure we give our all into every job we are given. 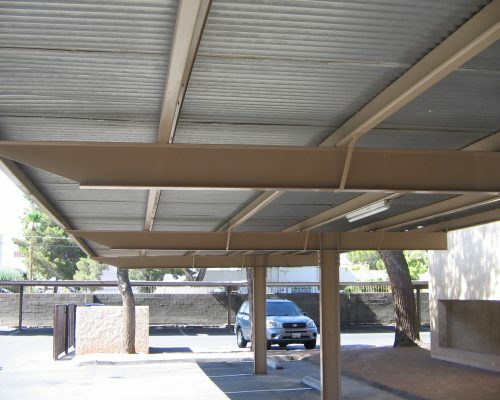 We offer Restoration, Repair and Brand New Carports. We make sure that the job is done right and you feel safe and secure when the job is complete! No job is too big or too small! We make them to last! Our Trash Gates are heavy duty, we choose a thicker quality of material to enhance their durability. From fabrication to finish, these trash gates are second to none! 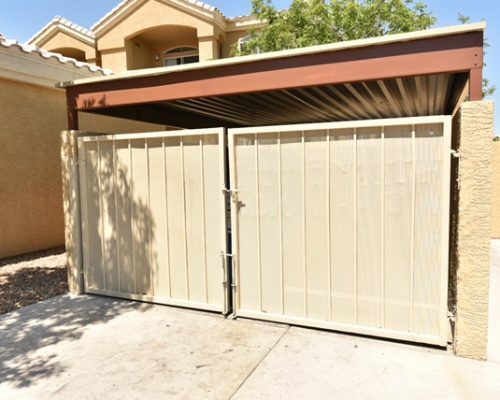 Even the trash gate repairs cover everything from new hinges, to cane bolts, to replacing perforation. We repair them good as new! 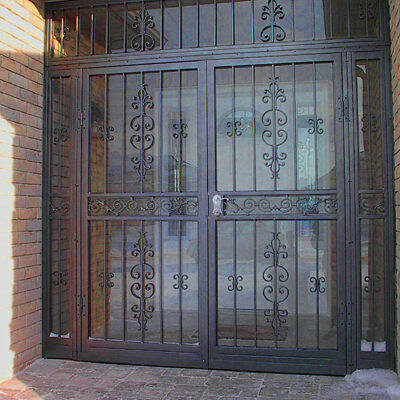 We provide excellent Entry and Exit Gate Maintenance, and Repairs. Our Staff has been professionally trained and certified through Chamberlain Training Academy. 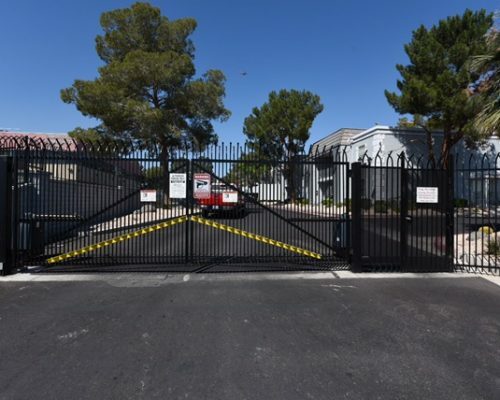 Whether it is an Automatic Gate, Gate Entry System, or Control Gate Motors we do it all. Our fabricators take immense pride in creating the gate of your dreams! Whether you need your gates repaired or made from scratch we can do the job for you! 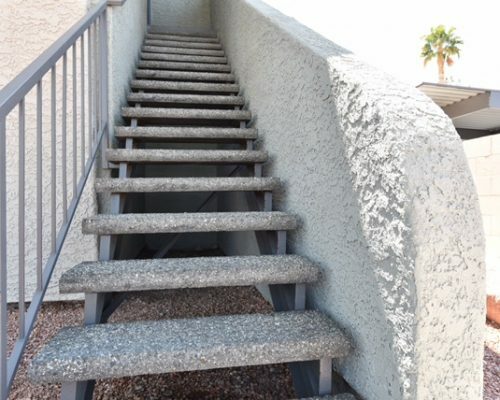 Whether your stair treads need to be re-welded or whether you need them replaced, we make sure the job is done securely and correctly. Our contractors are safe, secure, and certified in every area we send them on. We take great pride in the fabrication of all our fencing products. 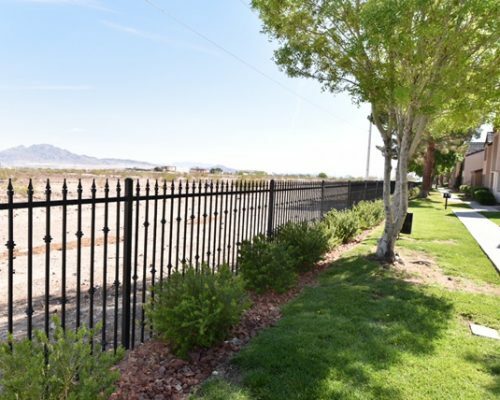 Whether it’s perimeter fencing, or pool fencing, or even something as simple as a dog run! Our wrought-iron gates are custom made with the highest quality material, care, and craftsmanship! All our wrought iron is fabricated with the best quality material, and with the utmost care, to ensure our customers receive exactly what they ordered.